At Lessebo Handpappersbruk, they have been making fine handmade stationery for nearly 300 years. Perfecting the craft since 1719 in an eco‐friendly way. August Strindberg wrote his manuscripts on Lessebo’s Bikupan paper and Andy Warhol was a fan! 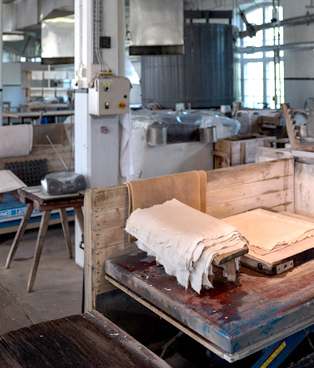 Welcome and visit us at the factory to experience the art of making paper by hand. Follow each step, from forming, pressing to drying.